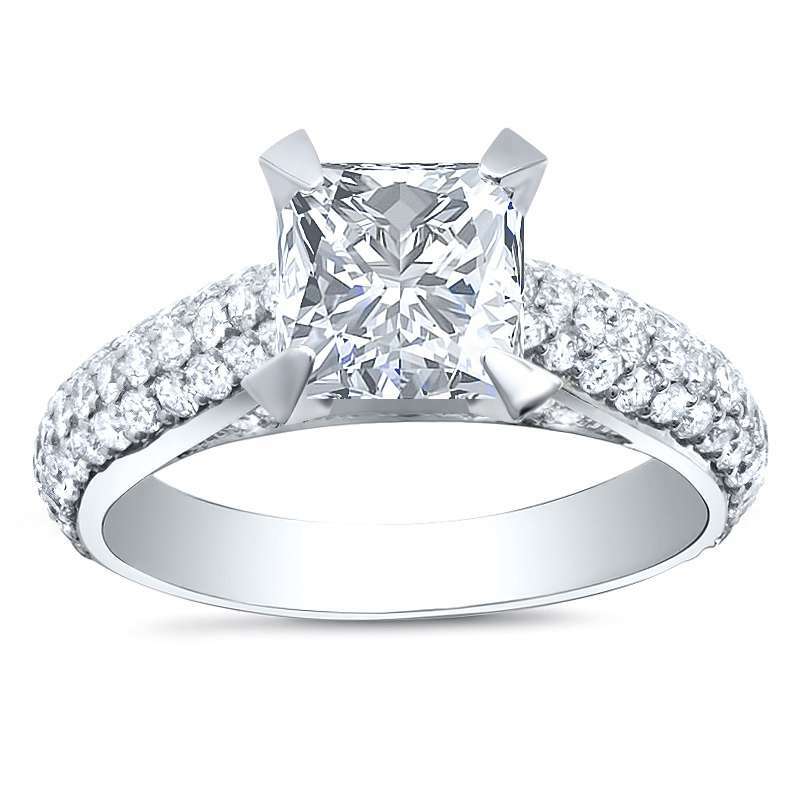 Give your queen the ring she deserves with this micro-pave, natural diamond engagement ring. This fabulous ring looks like complete royalty with its sleek and chic design featuring a center stone perfectly perched as the focus of the ring. The center stone is surrounded by loads of round sparkling side-stones that complement the traditional shank creating a delicate yet passionate scheme. Your lovely lady will feel closer to her king as she is reminded of the day you placed this ring on her finger and made her a part of your life… FOREVER!!! 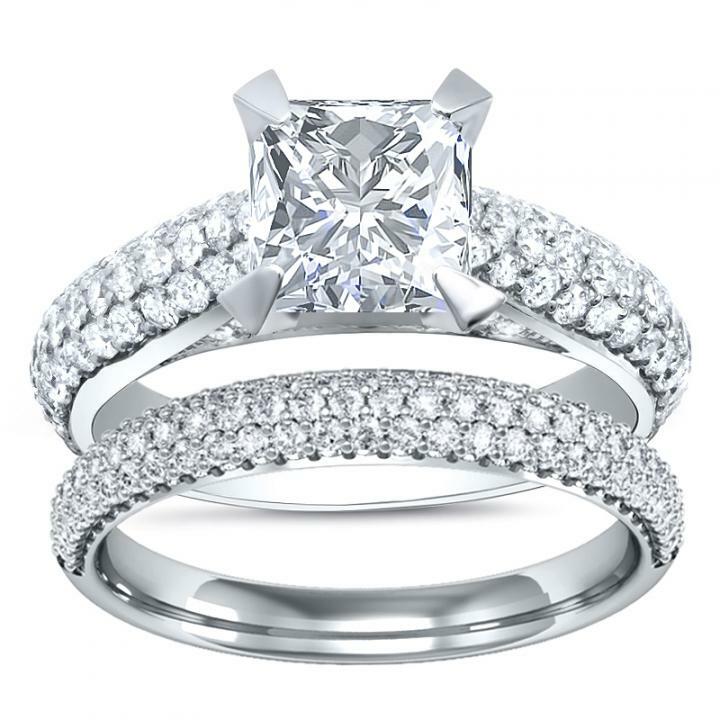 Customize this ring and make it truly come from your heart with the help of Diamond Mansions' Rings, who specializes in an “A+” experience and matching your heart with the perfect ring!